Pyle's Blue Label series speakers don't just sound great - they look great, too. Feast your eyes upon the azure curves of Pyle's Blue Label series and you'll agree. They're great replacements for your vehicle's factory speakers - you'll hear the difference immediately. Included in this package is a pair of round 4' two-way 180 watt speakers - carrying both the high and low end for a fuller range sound. The non-fatiguing butyl rubber surround keeps your speakers secure as well as extending the life of the product. A ¾' high-temperature ASV voice coil provides the richest sound, ensuring low distortion and providing an open sound stage. 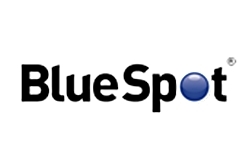 The blue poly injection cone looks great and allows your music to resonate with full power. The 20 oz. magnet structure and ½' neodymium film dome tweeter are what power these speakers and allow for a 110 Hz - 20 kHz frequency response. 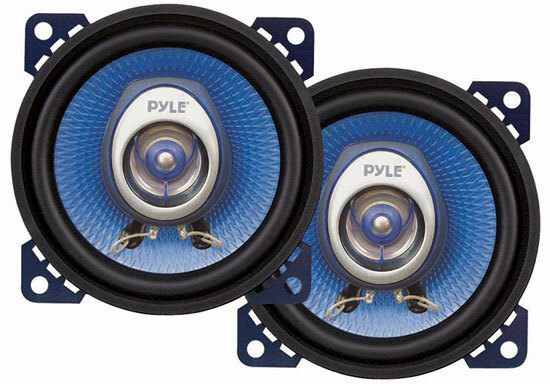 Trust Pyle to provide quality sound at a competitive price. Amp Requirements: These speakers are best amped on a traditional 2 Channel amplifier or run from your high power headunit.